Stormzy's cancelled his gig at Snowbombing festival in Austria after claiming members of his team had been racially profiled. "My manager and all my friends who were at the festival were racially profiled, targeted and aggressively handled because they had reason to believe someone was carrying a weapon." He added: "The security targeted them (despite no one fitting the description), were physically aggressive when handling them and there's been no effort from the festival to actually deal and address the problem." Organisers explain that: "A small number of attendees, including Stormzy's manager were escorted to the nearest exit, searched and no weapon was found." 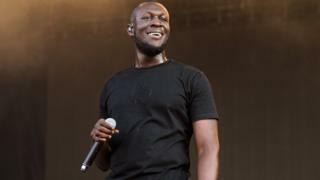 The festival apologised to Stormzy and his team and added: "We are doing everything we can to understand the full situation and are treating this with the utmost seriousness to ensure this does not happen again." People at the festival were only told about the cancellation a few hours before Stormzy was due to perform, via an app that cost attendees ￡3 to download. "To be honest, if what Stormzy says is true, I kind of see his reasoning for pulling out. No-one wants to tolerate racial abuse," says Chris, who's been in Mayrhofen for Snowbombing since Monday. "Obviously it's bad for his fans that he left it until the day to pull out, but if he had no other choice, he's got to stand by what he believes in at the end of the day." "Again, deeply sorry to everyone who came but I need you to understand why this is necessary in the grand scheme of trying to fight back against racism."